Keeping in mind diverse requirements of the clients, we manufacture and supply a wide range of Molded Hair Female Mannequins. These products are made using high grade material which is sourced from leading vendors. 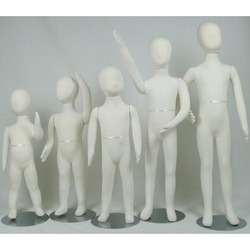 Moreover, these products are available in various dimensions that have molded hair, thus no additional wig is needed. 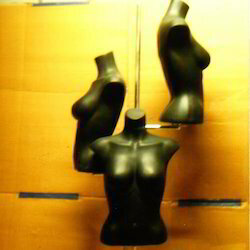 Our Molded Hair Female Mannequins are available at competitive prices. 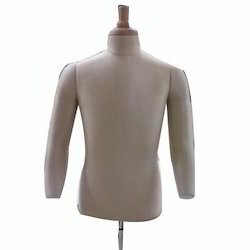 Torso Full Length Mannequins are designed by our team of creative and talented designers. Our products are light weight, durable, easy to carry, repairable and comes with high quality finish. Our product are easy to assemble, can fit in all places and versatile in style. Clay Top is a sole proprietorship based business organization, which was established in the year 2011. 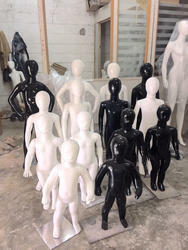 We are among the recognized manufacturer, trader and suppliers of Mannequins & Dummies the market engaged in offering an excellent array of Male Mannequins, Female Mannequins and Kids Mannequins. Our products are widely demanded and trusted by various reputed companies of the market for their unmatched quality standards and some dynamic features like high strength, sturdy construction, precise designs, dimensional accuracy, corrosion resistance, durability, reliability and superior finish. 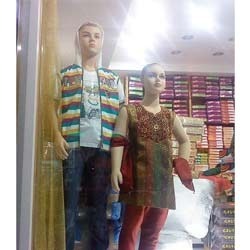 The wide range of products manufactured by us encompasses Male Mannequins, Female Mannequins and Kids Mannequins and many more. We also customize these products for our valued clients as per their precise demands and requirements. All these products are developed and designed at our in-house manufacturing unit under the supervision of experts, who possess several years of experience in this field.